I, like most, started with a straight up physical yoga practice. Meditation was talked about. It was praised. But there were never really specifics. Nothing was taught. Occasionally, I was told that yoga asana themselves were a form of meditation (maybe, possibly true. But there are caveats. There is no reason simply doing postures means a person is changing their brain). Yet there was something to practice that hooked me. It changed me. In trying to figure out what that was, I began to study. The studies, as well as traditional teachings, talked about meditation. They only talked about physical practices or poses in so far as they related to meditation. Meditation, apparently, was the change agent. But that knowledge wasn't enough to suddenly make me a mediator. A consistent meditation practice took me a very, very long time to develop. An even longer time to begin to trust, rather than struggle with. Then, meditation suddenly became the focal point of all my yoga. When that happened, there was a shift similar to the original 'oh my god yoga', one. It was similarly life altering. It was similarly holistic. But it was more profound than that first falling into love with yoga. It changed everything, all over again. I often tell trainees that it began with savasana (I started with such a physical practice that they didn't even do, that. Once I realized there was such a thing, I started to try it. It was hard. I convinced myself to stay in there. To be the last person getting up). Once savasana was something I could do, I began to try seated meditation. It was clearly powerful stuff. Not so much as I was doing it - that was just hard and confusing - but in the way I felt, after. There were noticeable differences between days that I meditated and days I did not. 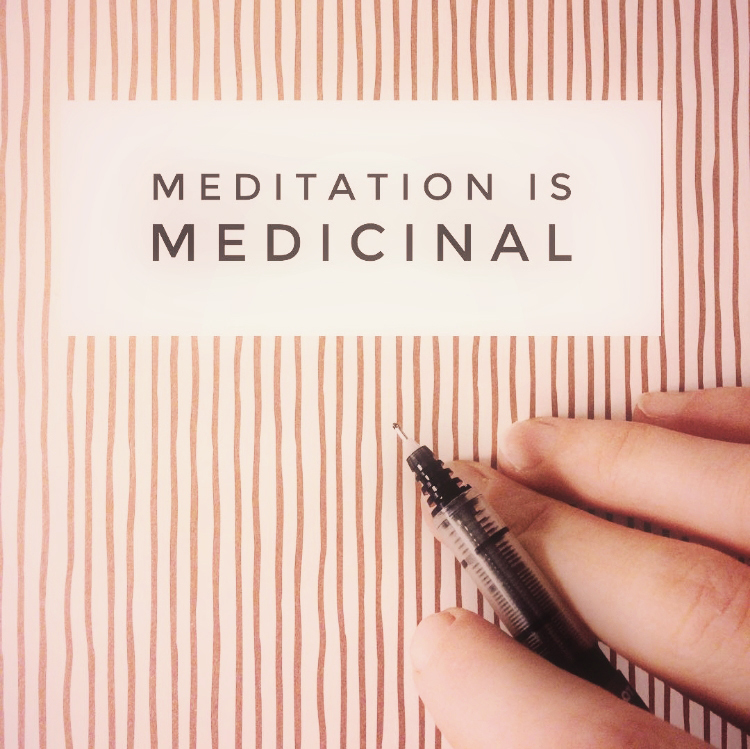 There was a profoundly different texture to my life when I had a regular meditation practice going. It wasn't until years after that, some heavy retreat and training and study, that meditation became something more interesting and profound to me than my physical practice. All the old stories, and the modern research suggests that meditation is the important bit. It's so important it comprises three of yoga's eight limbs. I've worked with thousands of people, and it's often the meditation that clearly brings deep shifts to their lives. Therefore, I think it's high time meditation become more important in the way yoga is taught. Learn to do it, develop a consistent practice, and identify your needs in the weekly techniques session. join a weekly practice. Watch, over a month or two, as the yoga begins to work you over. Effortlessly.